How to choose a processor for a laptop, choosing the right processor for Gaming desktop and PC, How to choose a processor for gaming and which one to buy? The processor, also known as CPU or micro, is the brain of the PC. Its main functions include the management of the operating system, the execution of the applications and the coordination of the different devices that make up the equipment. In the physical aspect, it is nothing more than a small silicon wafer which is covered with what we call encapsulation. This one is inserted in the base plate on a connector that is denominated socket , although this is not always so, in a laptop or portable it is normal to be soldered directly. What is an Intel i5 processor? Intel divides its microprocessors into two large groups. On the one hand their families Celeron and Pentium for users who do not need great benefits and on the other the i3, i5 and i7. The i5 is a processor we could call off-road. If i3 we can see as that processor that is enough for 80% of users, the i5 simply adapts to almost any need. The differences with an i7 are small and in most cases it will not be worth the extra expense. It may be more cost effective to invest in SSDs , RAM or a good graphics carddepending on how you are going to use your computer. It is not that the i7 is not a better processor, it is, but the applications in which it takes advantage of are very specific. Nuclei. 4 in desktop versions by removing some model, such as the i5-6xx, and 2 for notebooks. We do not have Hyperthread except on those processors equipped with 2 cores. Turbo Boost. The fundamental difference with respect to i3. Turbo boost allows the processor to run at a higher speed if needed. This improvement is noticeable especially in those applications that use a single thread that are the majority. Integrated graphics card. Some of these models incorporate a graphics card integratedin the own processor. This allows you to reduce costs but you have to keep in mind that it is not as powerful as a discrete one and that when you use it you need RAM to work. Memory controller. As with the graphics card, the memory controller is integrated into the processor. This is how the processor defines the type you can install. This leads to only being able to use DDR3 with the i5. PCI Express. It also integrates the PCI Express driver into the micro. This way if you connect a discrete graphics card the connection to the processor will be direct. Previous Generation or First Generation. We have several types. The i5-7xx, 7xxS based on Lynnfield. i5-6xx based on Clarkdale and the i5-5xxM, 4xxM, 5xxUM, 4xxUM Arrandale for portable devices. The former have 4 cores and the other 2 models with Hyperthread. Its manufacturing technology allows it to create transistors of 45 nanometers to Lynnfield, against the 32 nanometers of Clarkdale or Arrandale. As a set of instructions support SSE 4.1 / 4.2 and MMX. The i5-6xx and Arrandale already add the integrated graphics card. Second generation. Also known by its code name Sandy Bridge. It adds support for AVX instructions that allows you to accelerate among other things scientific calculations, financial calculations, signal processing and others. On desktop all have 4 cores except the 2390T which includes 2 and hyperthread. In laptop they are all like the latter. Another of the outstanding features of these processors is that they incorporate Quicksync that allows to accelerate the processing and codification of videos. Third generation. Also known as Ivy Bridge. For these processors Intel makes an improvement of manufacturing technology. Get create 22-nanometer transistors. In this way double the number of them in the same area. This achieves improvements in energy efficiency and higher speeds. As with Sandy Bridge, on the desktop we have processors with 4 cores minus the 3470T which has 2 and hyperthread. For laptops it is the same as the previous one. How to choose a processor for a laptop, choosing the right processor for Gaming desktop and PC, How to choose a processor for gaming and which one to buy? Who is this processor for? The i5 covers the features of almost any user. If you are not over budget is the processor you should choose. Add to this the applications that bring real match to an i7 are quite specific and you have the micro almost perfect. There are three models of encapsulation, PGA, LGA and BGA . The board thus becomes the manager of the connection with the other devices, such as RAM , graphics card or hard disk using a set of circuits and chips that you find on it that we call chipset . From a historical point of view the processor is one of the elements of the PC that has evolved most, both in its manufacturing process and in its internal architecture . Thanks to these improvements, it has been possible to include more functional blocks inside. At first it was the memory controller, then the graphics card and in the very near future, we will move from the concept of processor to what is called SOC, ie a chip with all the elements of the motherboard inside it improving as well the size and reducing the consumption. What components does a processor have? Nuclei. A kernel is nothing more than a miniature processor. Modern processors have several of them which makes it possible to speed up certain types of applications and avoid blockages. Cache. The cache memory is the element of the memory system of a PC that is inside the micro, is used to accelerate the speed of the accesses to the RAM. The cache is, in turn, organized into several levels each slower and larger than the previous one. It will be the task of the micro to leave the data that is most used as close as possible to accelerate the execution of the programs. Memory controller. This was one of the first elements that was integrated getting speed access to the RAM. This has a drawback and is that you can only use the type of memory for which your processor is prepared. This has not always been so since before the type of memory you could use depended on the motherboard and it was not uncommon that it was prepared to work with several types of RAM. Graphic card. If they integrate this component we are no longer talking about CPUs but APUs . We would not be before a conventional micro if not before a hybrid between processor and graphics card. At present and it seems that in future developments almost all the micros that you find will be of this type. Other elements. The micros have incorporated even more functionality that was previously on the motherboard. For example, the PCI Express driver , increasing the speed with which the micro is able to communicate with other devices. More information about these elements in parts of the processor . How to choose a processor for a laptop, choosing the right processor for Gaming desktop and PC, How to choose a processor for gaming and which one to buy? Intel, the world’s largest microcomputer maker, launches its processors to the market using a process they call tick-tock. A tick is a new manufacturing process that allows more miniaturization or what is the same include more blocks in the same space, sometimes also improvements in energy efficiency. A tock is an improvement on the architecture. How to choose a processor for a laptop, choosing the right processor for Gaming desktop and PC, How to choose a processor for gaming and which one to buy? The previous blocks are rearranged and new ones created to improve performance. The tick and tock are usually happen every year or something more and each one of them has a codename and a denomination that is the one that reaches the general public. For example, Haswell is the codename of the architecture behind the fourth-generation core, it is in particular a tock, Broadwell on the other hand is the codename of the fifth generation and is a tick, and Skylake is the same for the sixth generation and is a tock. What do Broadwell and Skylake look like? Or what is the same, what is a fifth and sixth generation core? Well that as it happened with the line that decided to follow Intel with its predecessor Haswell both are thought with energy efficiency in mind more than in computing power. This means that Intel is now more interested in creating processors that consume less, and allow to create mobile devices with more autonomy than powerful micro. As Broadwell is already a tick, and is known as fifth generation this will make the processors have a name something like X-5XXX. For example a micro Broadwell is the i7-5500u. It took a long time to go to the market, Intel had problems in improving the manufacturing process, which led to the failure to perform a full deployment, ie there are no processors for all segments. Among other improvements to the Haswell offers faster video conversion, for example adds decoding for VP8, and an improvement on the integrated graphics card. Support for DDR4 but only in the micros for servers. Skylake or Sixth Generation Core is a change of architecture. Normally you will see them on the market as X-6XXX, for example a micro Skylake is the i5-6600K. Among other improvements to Broadwell offers support for DDR3 and DDR4 on all its models, and will depend on the baseboard assemblers that include one or the other or both. Also includes Thunderbolt 3.0 and SATA Express. A very interesting feature is that it is the first micro that has full hardware acceleration of Direct X 12 since Broadwell although it supported it existed certain operations that did not accelerate. Intel has put very strong in each of the last generations to increase the performance of the integrated graphics card. Hardware acceleration capability of the new H.265 or HEVC video coding algorithm, and the evolution of VP8, VP9. In the section of the management of the consumption offers Speed ​​Shift and the TDP configurable that is to say we are the perfect micro for those assemblers who are thinking of creating equipment like the 2 in 1 or tablets. How to choose a processor for a laptop, choosing the right processor for Gaming desktop and PC, How to choose a processor for gaming and which one to buy? The whole system is governed by a clock that is used to synchronize the different functional blocks. The speed at which it changes state is called operating frequency and is related to the computing capacity of the system. A memory instruction is read. The instruction set of any current processor includes more than a thousand different ones and it grows over time. They are added to improve the processing speed of certain applications. Data is searched. Some instructions will need data to perform their calculations that may not be inside the processor and will therefore have to be searched in the memory system. The operation is performed. Once you have everything the operation is executed, for this it may be necessary the work of several blocks like the logical arithmetic unit or the floating point. It is passed to the next instruction. That is not always the one that is next in the memory. Many instructions can change the flow of the program and allow jumps or repeat certain actions until a certain condition is met. One of the most used techniques to increase the speed includes the execution of instructions out of order trying to optimize the use of the functional blocks. In these processors the operations are executed when their data is in the order they were written. This of course leads to a more complex architecture that must control that the results are consistent. Another improvement is the hop predictor. This element tries to determine if a particular operation is going to produce a fork in the code or not. This way you can execute the instructions of a certain branch even before you know if it is going to produce a jump to it. All these techniques that try to improve the CPI is the ability of the processor to execute more instructions in the same amount of time. What should I keep in mind when buying a processor? It will be your needs that in the end decide which processor you should buy. It is not the same to acquire a PC to study, than to play by putting two examples. As technical characteristics what differentiates one micro from another are, among others, its frequency of operation, its amount of cache memory and its number of cores. Hyperthreading. Thanks to Hyperthread technology, which is typical of Intel’s micros, it is possible to simulate that you have two logical cores over a physical one. It is interesting for certain applications such as those dealing with graphics and videos. CMT. CMT is an AMD technology that allows to join two cores and share certain resources that occupy less area and therefore include a greater number of them. Turbo Boost and Turbo Core. Turbo Boost and Turbo Core are two technologies, the first of Intel and the second of AMD capable of accelerating the processors when they do not consume much. You can find more information about which processor you want in the link. Current Processor Situations for PCs? Sandy Bridge. Sandy Bridge was developed by Intel in 2011, is what Intel denominates in its development “tick \ tock” as a tock or what is the same an improvement of the architecture. It is the latest design of the manufacturer where power was above the consumption or what is the same the last micro in which is thought before in desktop PCs than in those used in laptops. Ivy Bridge. IvyBridge was developed by Intel in 2012 and is a tick, meaning an improvement in the manufacturing process that allows to include more elements in the same area. The manufacturer takes advantage to add more functionality to its integrated graphics. Haswell. Haswell was developed by Intel in 2013 and is a new development of the architecture or a tock in this case thought to optimize the consumption in the mobile devices. Broadwell. Broadwell was developed by Intel in 2014 and is a further improvement in the manufacturing process. Designed especially for mobile devices. Flat. Llano was developed by AMD in 2011. It improves the manufacturing process compared to the previous generation. Trinity. Trinity was developed by AMD in 2012. It improves the architecture of the previous one. Kaveri. Kaveri was developed by AMD in 2013. Because AMD is far behind Intel in these micros not only improves the manufacturing process but also the architecture. Its biggest improvement is to make the integrated graphics card access the memory directly. Usually the AMD micros are less powerful in applications that use a single wire, which are almost all, but in return usually have an integrated graphics card more powerful and more cores. If you want information on specific micros that these manufacturers have released this year and earlier you can consult. How to choose a processor for a laptop, choosing the right processor for Gaming desktop and PC, How to choose a processor for gaming and which one to buy? The processor is the device that is responsible for carrying out the tasks necessary for you to use your applications and programs. You can consider it the brain of your PC. An application once installed on the hard drive has two basic components. The data, for example drawings, photographs, sounds, videos and the instructions that are in charge of working with that data. The function of the micro is therefore to be attentive to the information that comes from the user through the keyboard and mouse and act processing the instructions that are part of the application you are using at a given time. Nuclei. One of the improvements in the manufacturing technologies of the processors has succeeded in increasing the number of transistors that manufacturers can create per unit area. A greater number of them means that more elements can be integrated. The manufacturers thanks to this have added several cores in the same processor. Each of these elements is nothing more than a processor but reduced in size. Having several tasks can be speeded up when working in parallel. Cache. It is very important, for the benefits that the micro is able to give, to accelerate the use of the accesses to RAM memory . Note that it contains both the data and the instructions of the programs you are working with. A processor has several levels of cache memory designed to speed up these accesses. Its idea of ​​operation is simple, stored in it the data and instructions to which it is accessed more frequently and being near the processor the access is faster. Outside the core we find the so called LLC (Last level cache) depending on the model is the third or second layer. Other integrated elements. Depending on the architecture they will have more elements or less inside. More information a little later in the article. Internal interconnection. All these elements need to connect to each other to exchange information. We basically have two options or connect lines one by one between all elements which complicates the design or create a bus to which all connect to share information. What is inside each core? Broadly we can see a core as an old processor. Although if you approach you would see that the design has been adapted with many optimizations to improve performance. Control unit. This is called a set of elements that you can find inside a kernel in charge of loading instructions and data as the programs are running. When reading an instruction, it divides it into smaller micro instructions so that they can commission their execution to the different elements of the kernel. These micro instructions can then be run in parallel or even in a different order than they arrive. Records. A register is nothing more than a small memory that is integrated in the processor. This is where the data is stored for processing. It is the fastest memory of the whole system but they are usually very small. With the advancement of architectures, by adding more instructions, there are more and more types of records. Logical Arithmetic Unit. Commonly known as ALU, it is responsible for performing arithmetic and logical operations on numbers. In particular we are talking about integers, that is, those that have no decimals. Floating point unit. They perform the same functions as the ALU but on natural numbers. Its acronym in English is FPU. This element has not always been included inside the chip but it was an external element and was called a mathematical coprocessor. Over the years it has gained more and more functionality and its function is certainly very important. First levels of cache. The cache closest to the control unit is usually divided into instructions and data. This way the unit can execute several instructions without having to be continuously reading the RAM with each new one. It is very common that there are at least two levels of cache memory inside the core. What elements are usually integrated? Memory controller. Before you had an element on the base layer that was in charge of all communication between the micro and the RAM. By including this inside the processor we get very important speed improvements. Graphic card. More and more models include a graphics card inside. In this way we managed to reduce consumption and save money, not having to buy this device, in our team. Unfortunately these are not as potent as their older sisters the discreet of a lifetime. PCI Express controller. When implementing this component internally the communication with the discrete graphics card is direct. That is, the same philosophy has been followed as with the memory controller. System bus controller. The system bus allows the processor to communicate with the peripherals found on the motherboard. When included, an improvement in the overall speed of the system was achieved again. Be sure that we will have more and more elements integrated in the processor. The idea is to move from the concept of processor to SOC, ie the entire system, or at least the CPU and the motherboard, on a single chip. This will be beneficial, especially for portable equipment as we reduce consumption and size. Fourth Generation i7 Processors for desktop PCs, Which one to buy? To better understand these devices it is necessary to understand how this company works. To create your designs, divide the development into two phases in a process that is called “tick, tock” and is done in succession: How to choose a processor for a laptop, choosing the right processor for Gaming desktop and PC, How to choose a processor for gaming and which one to buy? Tick. In this the technology of manufacture is improved , namely reducing the size of elements called transistors . These are the small bricks with which they build the functional blocks that make up a microprocessor. In this way it is possible to integrate more of them in the same area, causing the device to be able to perform more tasks at the same time. When we refer to this stage we usually talk about the minimum size of one of the sides of these elements. Moving from the 32 nanometers used in the Seconds to 22 Seconds of the Thirds, a reduction of the transistor size was achieved in half. Tock. An improvement is made in the architecture , that is, in the way in which the functional blocks are connected to perform their functions. Usually environment improvements are achieved at 10-20% performance at the same operating frequency . The Intel Core Four Generation is a Tock, that is to say an improvement in the architecture. Great things were expected from these micros, especially in relation to benefits. But Intel seems more focused on reducing consumption by thinking of the mobile market than by offering powerful processors. What do the new Fourth Generation i7 processors have in common? Nuclei. All have four cores that thanks to the hyperthread technology allow to work with eight tasks at the same time. More than enough for 99% of the market applications. Cache. 8 MB level three cache memory except the 4770R which has 6 MB. This micro is special and it seems that your destination is to end up on a MAC computer . Instruction games. All support the same processor instructions including SSE 4.1 / 4.2, AVX 2.0. Manufacturing technology. As with the Ivy Bridge or Third Generation Core use a width of 22 nanometers. Turbo Boost. Thanks to Turbo Boost technology the processor is able to accelerate the frequency of operation when necessary, as long as its theoretical maximum consumption or TDP is not exceeded . Graphic card. All have the HD 4600 model minus the 4770R which includes the 5200. HD You can read more about the differences between the Haswell integrated cards in the link. How to choose a processor for a laptop, choosing the right processor for Gaming desktop and PC, How to choose a processor for gaming and which one to buy? What do they have different? 35 and 45 watts of consumption. These processors are very special. Its low consumption makes them ideal for use in HTPC and AIO configurations . Against you are very expensive and difficult to get so it is normal to find it only in equipment already assembled. 4765T. Its base frequency of operation is 2 GHz and can reach 3 GHz thanks to Turbo Boost. Due to this large dynamic range it achieves a TDP of only 35 Watts. 4770T. A bit more powerful than the previous one works between 2.5 GHz and 3 GHz. In this case its TDP is of 45 Watts. You can find it on small desktops. These micros are in equipment in format AIO but of greater power. They do this by having a larger TDP that allows them to run at a higher operating frequency for longer. 4770S. It is the low-power version of Intel’s most powerful mid-range processor. Base frequency of 3.1 being able to reach 3.9 GHz thanks to the Turbo mode. 4770R. 3.2 GHz base frequency and 3.9 GHz limit. This is the only one that has 6 MB of level 3 cache. We move to a higher level. We find processors designed to give processing power. By having the highest TDP they can operate in turbo mode for longer and have higher base frequencies. 4770. Base frequency of 3.4 and 3.9 GHz in turbo mode. It will be the one you normally choose if you want a powerful processor and you do not plan on overclocking . 4770K. Base frequency 3.4 and 3.9 GHz in turbo mode. The only difference with the previous one is that in this you will be able to play with its frequency of operation. This makes it the most powerful micro in Intel today for the average user. 4771. Base frequency is increased 100 MHz. It is not intended for overclocking. Technologies are advancing at such speed that sometimes they make us doubt what we have. This happens for example with processors , you know or not every one or two years Intel has been offering us new versions. Intel Core is the name that has been using Intel for its micros since 2008 or so. To better understand what each of them has to offer, it is necessary to know the development cycle that this manufacturer uses and which they call “tick / tock”. Tick. Micros are nothing more than small functional blocks that connect with each other. If we can reduce the size of these blocks we can perform more tasks using the same hardware. When Intel ticks, what decreases is the minimum size you can use to create the transistors that are the basic blocks, the bricks with which these devices are created. Tock. The architecture of a processor is the map that defines the elements that compose it and how they interconnect each other. A different way of distributing the blocks can make the micro behave in a totally different way. Well, this is not how Intel works, first it reduces the size of its transistors and then improves the architecture or adapts the needs it wants to satisfy. The first generation Intel Core come to replace the Core 2. Not all Core first generation are the same since in 2008 there was already some i7, in 2009 appear the i5 and in 2010 the i3 . As you can understand the architecture of an i7 of 2008 does not have much to do with that of a 3 of 2010. There are versions that use lithographs of both 45 and 32 nanometers. Among the improvements with respect to the previous micros are that they add the memory controller inside and they have the graphic card integrated in the same package. It is a tock, ie a new architecture. It appears in early 2011 and its codename is Sandy Bridge. Added AVX instruction set, designed to accelerate the processing of images, sound and 3D. Other instructions such as AES used in cryptographic programs are also added. Its lithography is 32 nanometers and the graphic card is added inside the micro. 10% to 20% faster than the previous generation without taking into account the tremendous differences in graphics. Especially allows overclocking , so much that many users have skipped several updates thanks to this. There is a reduction in size, specifically at 22 nanometers, it is a tick, its code name is Ivy Bridge. Almost no improvement in performance at the same speed, only between 1-5% gain. About a 20% gain in the graphic section. Adds support for PCIe 3.0. Above all, consumption is reduced. DirectX 11 support is added and the level three cache size is increased . It is a tock and its codename is Haswell. Intel is trying to improve energy efficiency thinking of not losing market share of portable devices. Above all, consumption is reduced when the equipment is not used. Between 5 and 10% improvement in the number of instructions per clock cycle. As in each of the new generations is especially noticeable in the integrated graphics card. The included in these was twice as fast as the one you found in a second generation micro. New instructions such as AVX2 and FMA3 are added for video and sound coding. In addition TSX is added for the creation of applications that take advantage of the cores of the processor. The enthusiast version brings support for DDR4. It’s a tick, it’s reduced to 14 nanometers, its code name is Broadwell. They are half as small as in the fourth generation. It follows the path set by Haswell in terms of consumption. Less than 5% improvement over Haswell at the same clock frequency. The fifth generation core are those that have brought the DDR4 memories to the public. It’s a tock, it hits the market almost at the same time as Broadwell and is called Skylake. It adds technologies like configurable TDP designed for 2 in 1 equipment and tablets. Follow the path of adding new sets of instructions like the AVX3.2 Less than 5% improvement at the same clock speed. What processor do I have on my PC? The processor is the brain of the PC and therefore one of the most important elements of any computer. Its main function is to be in charge to execute the programs and the operating system. But, can you recognize which family it belongs to? What are its characteristics? Unfortunately and because it is hidden inside the box of the PC sometimes it is very complicated to know its characteristics. But do not despair with a few simple steps you will see that it is inside your machine. How to find out which processor has my PC? In the previous link you can download it for free and without problems of Adware, nor viruses. What characteristics can I be interested in knowing about the processor? Number of cores. The cores are like small processors inside these. Thanks to them he is able to work with several tasks at the same time. Thanks to improvements in manufacturing technologies, it has been possible to reduce the size of the blocks that make up a micro, allowing more logic to be included in the same area. Number of threads. Depending on the type of processor you have each of those cores will be able to run one or more threads. These are just simple tasks. Name in code. To identify different families, manufacturers use codenames during their development. With only this name you can know many important details of the device. Among others you have Bulldozer, Piledriver by AMD or Sandy Bridge, Ivy Bridge, Haswell or Broadwell by Intel. Type of packaging. Here we are informed of the connection you have with the motherboard . This way we know the type of socket . Manufacturing technology. When creating a processor it is done using a procedure much like a print. If we can create smaller elements we obtain a lower energy consumption and the possibility of being able to create more blocks in the same space. This is why the minimum door width unit of a transistor in nanometers that the technology used is capable of creating is indicated. The smaller this number the better. Instruction sets. With each new generation, the processor manufacturers do not lose the possibility of adding new instructions that adapt to the needs of the users. They are very common used to accelerate applications of codification of audio or video, retouch of photographs as well as the cryptographic ones. Other functionalities. As if it has support or not for virtualization. This is very important in server environments. Temperature. Yes, this program also tells you what temperature your processor is. Very useful if you are thinking about overclocking . Sizes of the cache memory. The cache memory is used to accelerate processor access to RAM. This program tells you the different levels that exist and their sizes. Operating frequency per core. Thanks to technologies like Turbo Boost and Turbo Core it is possible to vary the frequency of operation to allow accelerating programs. In this case the program informs you of the speed they have at each moment. What types of processors are there for PC? The two most important manufacturers of PC processors are Intel and AMD. The Core designed for those users with high average needs, divided into three families i7, i5 and i3 . Its less powerful models include Pentium, Celeron . For the general public you will find A10 , A8 , A6 , A4 . Something more power will find in your FX micros. What is the architecture of a processor? The processor is the coordinator of all tasks performed by a PC , this means its internal design is very important. Inside, it is nothing more than a set of interconnected blocks in which each of them performs a function. The design of these elements and how they are interconnected is what is called processor architecture. In order to function, a computer reads instructions and data. The speed at which you read data and perform calculations is determined by the famous operating frequency you can see in any brochure of a micro and measured in gigahertz. That clock serves to coordinate the entire system so in principle a 2 GHz processor can do twice the work at the same time as a 1 GHz but it is not so simple. Thanks to the advances made in the design of the architecture, the performances are less and less dependent on that frequency of operation. It can happen, therefore, that a micro with a slower speed is able to perform more tasks. To understand it, you have to review the story. When the first microprocessors were created, they were only able to perform one operation on each clock cycle and some, the more complex ones, could even take more time. However, thanks to architectural changes, any current processor is able to process multiple instructions at the same time. Of course, each architecture is different, which means that two processors running at the same speed do not have to run as fast. In addition, when you change the architecture, you can add more blocks that execute new instructions. This is the case with SSE and AVX instruction sets, for example. These allow to accelerate certain calculations associated with mathematical, scientific, financial and security programs. By including these blocks, you can increase the speed of execution in a radical way, in some utilities you can perform twice as much or even more work at the same time, but you need to have software developers re-create the programs again. The process is continuous, improvements in manufacturing techniques allow smaller transistors to leave more room to add more functionality. The first option was the most logical. More cores are added , which is nothing more than replicating simplified processors and interconnecting them together. After this, it tends to integrate more and more elements inside the CPU. Let’s say that the elements move from the motherboard bit by bit to the micro. They are integrated for example, the memory controller, or graphics card . To this has arrived this evolution, that begins to use the concept of APU instead of the one of CPU. In the not too distant future, it will tend to SOC (system on a chip) that is to say, that the whole system is inside a tablet. Apart from the logical part, we must not forget that a micro is a physical device. As such, it is limited in aspects such as temperature or voltage. In essence, the power consumed by a processor is proportional to the operating frequency. That is, if we increase by 30% the speed also the power will increase in the same proportion. If the cooling system, usually a fan, is not able to dissipate that power, the temperature will increase steadily until the device burns or stops. The manufacturers, taking into account this, add systems to the processors to accelerate its operation as long as we are within acceptable physical limits. Examples of technologies that do this are the famous AMD Turbo Core and Intel Turbo Boost . The processor can run slower in case the system does not need so much execution speed. Of course, the architecture also defines how the processor behaves in relation to other elements of the motherboard. For example the connection with the memories or the channels of access to the graphic cards . However, and unfortunately for AMD, Intel was taking too much advantage. With this new architecture AMD offered, in principle, several processors. Of these, the AMD FX-8150 is the most powerful of all. The architecture of his opponent in this comparative is Sandy Bridge that appears 10 months before Bulldozer. Although in principle has several problems, related to the motherboards , it seems that all that has been solved. Nuclei. The i5 is a complete quad- core processor . The one that AMD has is four CMT modules, acronym for Cluster Based Multithreading, which include eight cores inside. In this way, in a single block you will find two cores, from which all elements except the floating point unit have been replicated. Both cores must share it, which can lead to problems with those programs that work with many operations with decimal numbers. Frequency of operation. In this case we have on the one hand that the i5 implements Turbo Boost technology with a base speed of 3.2 GHZ defined by the following numbers 1/2/3/4. This means that whenever the micro does not burn you can accelerate in 4 intervals of 100 MHz if we use only one core, 3 if we use two, 2 if we use 3 and in 1 if using all four. AMD’s implementation, Turbo Core , differs somewhat because it is based on three states, in this case defined by 3.6GHz, 3.9 GHz, 4.2 GHz. To reach this maximum, it is necessary that only four or fewer cores be used and not the TDP of the processor is exceeded , in case of using more cores we would be in 3.9 GHz of maximum. Cache. In this element was where AMD had always had problems. In this case the 8150 appears with 8 Megas of level 3 cache . The i5 2500K only has 6 Megas of level 3. Instructions. In this case the AMD processor is more complete since it adds the XOP and FMA4 sets to the typical Intel SSE 4.1 / 4.2 and AVX instructions. XOP is an evolution of the SSE4 set designed to accelerate multimedia applications and FMA4 is an extension of the AVX suite. Consumption. Here the i5 is clear winner since its TDP is of 95 Watios by the 125 of the processor of AMD. Integrated graphics card. The Intel processor includes an HD 3000 and the AMD has none. The i5 2500K will outperform AMD in almost all workloads. Due to its design, the Bulldozer processor will have problems even with the applications that need many nuclei but that make use of the floating point like can be the rendering of three-dimensional images. In addition, Windows 7 is not perfectly optimized for this architecture. The system sees the processor as if it were complete cores and allocates the resources as if it were. This leads to performance drops when you need to share the floating point unit. I still have to see what happens when you use your new instructions in general, but I would not wait and if you plan to buy one of these do not hesitate and stick with the i5. Skylake charts, how are they? Whether we like it or not the PC world has changed. Influenced by the birth of tablets and other equipment like the 2 in 1 or the ultrabook what we are looking for in a computer does not seem almost at all to what we wanted a few years ago. The manufacturers are aware of them and want to give us ever more thin, less heavy and fast equipment making component integration ever greater. The next change is that even desktop processors will end up, except for users with special needs, only using the integrated graphics card . And in this we have the two major manufacturers of processors Intel and AMD. The latter somewhat lagging behind, although it is the one who has put more effort in the integration, due to problems with the technologies of manufacture . In this article we are going to analyze the cards that use the Intel Core of Sixth Generation and how they can be used to reach the objective of replacing the discrete ones. Intel uses a strategy that they call “tick / tock” for the development of their processors . First ticks and then, as it could not be otherwise, a tock, both are usually separated one or two years. A tick is an improvement of the manufacturing technology of the micros, it changes the entire manufacturing process, and a tock is an improvement of the internal architecture , that is to say how the elements that contain it are connected. Although the tick and the tock are done consecutively, they first arrive at the client one and then the other, the reality is that nothing prevents the development of one at a time from the other. 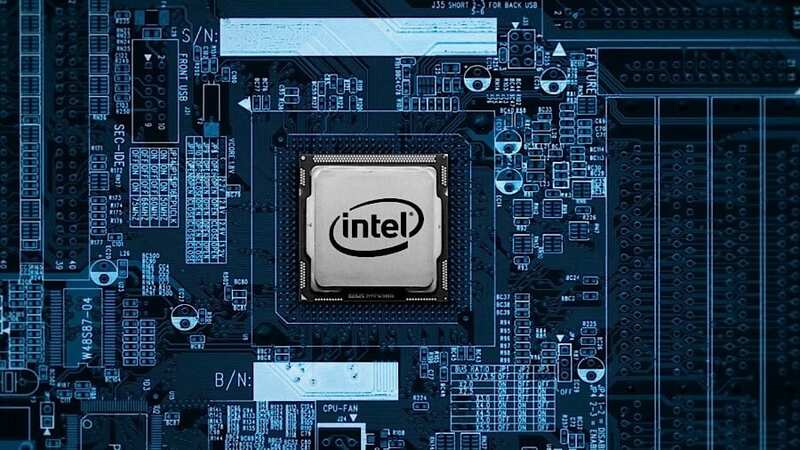 This means that Intel has about three or four years to use a manufacturing technology until the new one is available and with the same architecture it has until the next tock to update it. Obviously to achieve this there are totally different working groups where some are responsible for the improvement of the internal architecture and others of the manufacturing technologies. But what is an improvement in manufacturing technology? It means you can create smaller transistors. In this way it is possible to include more elements in the same area thus increasing integration. In addition, this technology change brings a number of additional advantages such as lower consumption at the same frequency of operation but always depending on how advanced the development and the reduction of the cost since this is proportional to the area of ​​silicon that we need use. Once we have made that improvement in manufacturing technology we can use that additional area to improve the architecture. We have more transistors and therefore a greater possibility to add more elements and make them more complex. Using this manufacturing process, we can distinguish the Intel Core Fifth Generation also known by its code name Broadwell are a tick and the Sixth Generation Core codenamed Skylake are a tock. Nothing compels Intel to follow this method of development is more is the only company that for now follows so that can at any time change it and that the core Intel seventh generation are not a tick but a change of architecture. As I said before, the gap between generations is usually a year and a half or two but this seems to have been expanding over time. Specifically with Skylake due to problems caused by the change in manufacturing technology, it was more complex than Intel expected, led to Skylake and Broadwell have to coexist. Specifically Broadwell parted in late 2014 and by mid-2015 Skylake. It was the first time Intel had to have two processor releases so close in time. The graphics card is one of the elements that has changed the most due to the continuous development of those technologies of manufacture of which I spoke to you previously. In principle in desktop PCs and even in laptops it is normal to be discreet ie external both to the motherboard and to the processor. In this way they could be more powerful and could even be changed if they made mistakes. As a disadvantage was that you need to have a large computer to have a discreet card. What was the first step of the manufacturers ?, because it simply went from the discreet card to include it as a chip on the motherboards. This improved consumption and size especially on laptops. Unfortunately they were not very powerful but not everyone needs a powerful graphics on their computer. The second step was to add that graphics card to the processor, to include it inside as had previously been done with other elements such as the memory controller. This brings many advantages like that the micro is right next to the graph that this consumes much less. As a disadvantage is that not spending as much energy can not be as powerful as an external, at least not for now. The EUs are the units of execution. These blocks are the ones that process the data to give rise to the three-dimensional images that you can see in the games. The higher the number of execution units the greater the ability to work with graphics on the card. Keep in mind that the generation of three-dimensional images is an easily paralleled task, this means that are the execution units can receive work all at the same time or what is the same a card with 12 EU can perform twice as much work, less in theory than one of 6 EUs. La frecuencia de funcionamiento. Este dato nos indica la velocidad a la que funciona el micro. O sea que si tienes el doble de frecuencia en teoría puedes llegar a calcular el doble de pixeles. En este caso se indica la frecuencia mínima y máxima que puede variar según los procesadores. La frecuencia máxima solo se alcanzara en caso de que el micro no este lo suficientemente caliente y puede que solo la pueda alcanzar en breves espacio de tiempo. Esto quiere decir que en estos micros es muy importante el tipo de refrigeración elegida. eDram. To carry out its work the graphic card needs an additional memory. The eDram is an additional memory that is added to the integrated graphics cards right next to the processor, is a separate chip but is in the same package. This allows to accelerate the access to the data, for example the textures of a three-dimensional world. In Intel microprocessors this memory is also used as a level four cache by the processor, which can serve to accelerate access to RAM even if you do not use the integrated one. Hardware Acceleration. There are already far gone the times when the processor had to do everything on a PC. Now fortunately for very specific tasks the graphics card is used to speed it up. In particular in the integrated cards Skylake you have that it is possible to accelerate the processing of certain graphic formats like H.265 also denominated HEVC and of the most used H.264 or MPEG4. Graphic standards. Skylake integrated graphics support Direct x 12 support natively so you should not have too much trouble moving modern games. What models of Skylake integrated cards exist? The following is a more or less complete list of Skylake integrated cards some of them only came out on some very specialized processors which is difficult to find since there are few models that include them. As I said before, the final performance of this type of graphics card depends a lot on the type of equipment in which it is included and its cooling. Do not expect that certain types of PCs like the 2 in 1 or the tablets can give the same benefits as a desktop but have the same integrated graphics card. Intel HD 510 (GT1). 12 EUs operating in the range of 300 to 950 Mhz. It replaces the HD Graphics of the Broadwell. Modern games can only be used with features to a minimum and low resolution and some will not be able to move them. Designed for small laptops and ultrabooks. It can be used for anyone who is not going to use the micro to play in other cases or plan. Intel HD 515 (GT2). 24 EUs, from 300 to 1000 Mhz. It replaces the HD 5300. It can serve to play certain titles not very complex as the Counter-Strike. Designed to run on 2-in-1 sets without fan and tablets. Intel HD 520 (GT2). 24 EUs, from 300 to 1050 Mhz. Replaces the HD 5600. You should not have problems with at least 70% of modern games using the settings to a minimum. Designed for small laptops and ultrabooks. Intel HD 530 (GT2). 24 EUs, 950 to 1150 MHz. Depending on the processor you can move some modern games with quality settings between medium and high. Very complex titles will not be able to move them. Designed for small laptops and desktop PCs. Intel HD 540 (GT3e). 48 EUs, 950 to 1050 Mhz. 64 Mb eDram. Replaces the HD 6000. You can play almost all modern games if you adjust the quality. Intel HD 550 (GT4e). 48 EUs, 1000 to 1100 Mhz. 64 Mb eDram. Replaces the Iris 6100. Intel HD 580 (GT4e). 72 USs, 950 to 1050 Mhz. 128 Mb eDram. Replaces the Iris Pro 6200. Can they replace the integrated graphics cards with a discrete one? For most users who are not players the answer is that if and even for those who like games a lot can play many titles without many problems. What is the best processor for laptops, Trinity or Ivy Bridge? AMD and Intel have made great strides in the handheld market. Its idea is clear, to get processors capable of giving the maximum benefits using the minimum amount of energy. This way you can work for longer with the same battery consumption. This increases the autonomy of use of these devices. Trinity is the new AMD micro, and Ivy Bridge the new Intel processor. Both have appeared in the market with a difference near the month. In the minds of both manufacturers is getting market share on all portable devices, even on mobile phones. The predecessors of these two families. Son, Sandy Bridge by Intel and Llano by AMD. Sandy Bridge is an architecture in which the power excels when working with applications of general use. Llano on the other hand was aimed at giving a great graphics performance, thanks to the card that had integrated. Ivy Bridge, differs from Sandy Bridge in that Intel has improved manufacturing technology. This new allows you to have twice as many transistors in the same area. This increase in transistors has enabled Intel to improve its integrated graphics card and lower power consumption. Trinity, however is a more radical change. It has changed its internal architecture in a radical way improving both the integrated graphics card and adding technology Piledriver, successor Bulldozer to the processor. Both Piledriver and Bulldozer make use of CMD technology developed by AMD. A processor based on it will be composed of several blocks. Each of these will have two cores inside it where all the units except the one that performs operations with floating point, the FPU, have been replicated. This makes these AMD micros are very good in multi-core applications as long as you do not perform many operations with decimal numbers. Intel however uses its SMT technology, whose trade name is Hyperthread. In this Intel replicates only a very small part of its processor to offer two virtual cores for each real to the operating system. Although AMD technology seems more powerful, Intel has been developing its own for more years. In this sense Intel has been more practical and its technology is adapted to the applications that are more common. When we talk about nanometers we are referring to the technology that is used to physically perform the processor. Specifically refers to the minimum gate width that can be achieved for a transistor. Intel, in this field, takes an advantage of at least one year to AMD. You can create transistors that occupy half the space of your opponent. This is achieved thanks to its triple gate transistors . They are essentially more energy efficient. Turbo Core 3.0 vs Turbo Boost? At more clock frequency, a micro will heat up more. This way, these can in certain occasions that the workload and the temperature of the processor allow it to accelerate the frequency during small laptops you time. Intel started using this technology and brought a great advantage to AMD. With Turbo Core 3.0 this advantage is diminished. An AMD micro is capable of almost accelerating 1 GHz if applications need it. In this section there is a clear winner and it is Trinity. If you plan to use the integrated graphics card do not think about it and buy the AMD micro. Intel has improved a lot after the departure of Sandy Bridge, especially when adding support for Direct x 11 but without a doubt the AMD graphics card is more powerful. These blocks inside the CPU are responsible for the processing of films. In this case Intel has a great advantage, as thanks to Quicksync can process video in record time. If you are going to use the integrated graphics card use the AMD micro, otherwise Ivy Bridge is a highly recommended option. What is the manufacturing technology of a processor? Sometimes you can read that the manufacturing technology of this or that processor has improved and that the manufacturer has been able to use a technology of several nanometers. For example, Intel Ivy Bridge technology allows the manufacturer to use a transistor with a gate width of 22 nanometers. It is not necessary for you to know that the transistors have several parts between them doors to understand that their size goes in inverse relation to that number. The transistor is a square shaped element therefore the reduction that occurs is quadratic. For example going from 32 nanometers to 22, it allows to go from 1024 square nanometers to 484 that is to say almost half of size or double of elements in the same area. Really the transistors are not so small but if it is true that the improvement occurs in that relationship. It is no accident that Intel has gone from 45 to 32 then to 22 and later to 14, if you see the relationship between its squares 2025, 1024, 484, 196 you will see that it always tries to reduce the size in half. In the case of Intel it is very easy to know when it improves its manufacturing technology and when it improves the internal architecture of the micro since it uses a development that they call “tick / tock”. In a first phase, a “tick” technology is improved manufacturing and in a second, so-called “tock” architecture. That’s why the second generation core or Sandy Bridge was a “tock”, the third or Ivy Bridge a tick, the fourth or Haswell a tock, the fifth or Broadwell a tick and the sixth or Skylake a “tock”. What does better manufacturing technology entail? Higher density of transistors. As you already mentioned, being these smaller can be added more in the same area. This allows to reduce the final price that we will get when the technology is mature since the price is related to the area. Lower consumption. Its smaller area causes it to require less current and voltage to operate, thus leading to a reduction in power. This is true with nuances, sometimes we have to wait until the manufacturing process has been improved to see it. Better architecture. A greater number of transistors allows the processor to be able to perform a greater number of tasks per clock cycle. You can create more functional blocks in the same area with which you can do more things at the same time. If you’ve ever wondered why each time the processors have more cores , the reason is the continuous improvement of the manufacturing process. Higher speed. Lower consumption at the end means that we can achieve higher operating frequencies without burning the processor. This has not always been the case in different generations, because attempts have been made to improve aspects such as consumption to the detriment of performance improvements. What disadvantages can a manufacturing technology bring? Price and time. A manufacturing technology is not considered mature until it is not able to offer the same price as the previous one, this is only achieved with continuous improvements. At the beginning, when faced with a new process many of the micros are not viable with which money is lost until this maturity is achieved. Comparing two processors with such a different price, the AMD chip is about $ 100 cheaper than Intel’s, it does not seem fair. However, both processors have several aspects in common that make the comparative make sense. Both are 4- core microphones , whose manufacturing technology is still different, has a common point, allows to use transistors with a gate width of 32 nanometers. Another aspect, in which they resemble, is that both the AMD micro and the Intel have an integrated graphics card . The future passes through smaller and smaller teams. In other words, these micros are APUs and not normal CPUs. The code name used for the AMD architecture is Llano , and both this and the Sandy Bridge architecture of the Intel micro are on the market in early 2011. Nuclei. It has 4 cores, more than enough for most applications. Clock frequency. Its base frequency of operation is 2.9 GHz. It does not use Turbo Core , the equivalent of Intel Turbo Boost , then always works at that speed. This is one of the reasons why the Intel chip is better in applications that make use of a single core. Unfortunately for AMD this is the majority. Cache. The memory inside the processor is organized in levels. Each level accelerates the next. This acceleration is performed by the cache memory . AMD does not use the same 3-tier system as Intel. This processor has 1 Mega level 2 cache per core. Another point against AMD. Intel uses its level 3 cache so that it can dynamically spread among the processors and speed up those that are being used. Graphic card. The strong point of this architecture, so much that it is between 2 and 3 times faster than the one of Intel. The particular model is the AMD 6550HD. Manufacturing technology. AMD improves its 45-nanometer and achieves 32 nanometers, which can include twice as many transistors in the same area. Consumption. Its TDP , or maximum theoretical power, is 100 watts. Nuclei. Same as the AMD processor. By not implementing Hyperthread, such as the i7, will be able to execute only 4 tasks at a time. Clock frequency. It operates at 3.3 GHz base speed, reaching 3.7 GHz when using Turbo Boost . Cache. The level 3 cache memory in the Intel processor is 6 Megas that distributes according to the needs of the applications that are used. Graphic card. The weakness of this architecture. The model included is the HD 2000 so we are not at the best that Intel is able to offer. Manufacturing technology. As with AMD, 32 nanometers are used. Consumption. Its TDP is 95 watts. Which is better for a low cost team? If your budget is limited and you are not going to need big benefits the AMD option is the one that you should choose. The $ 100 savings, plus the possibility of not having to add a discrete graphics card, if you’re not going to use the computer to play, makes it the ideal alternative. Which is better to use on a gaming computer? The AMD micro has a higher graphics card can make you doubt. However, this card alone will suffer with the most sophisticated games. Another option that you can consider is with the difference in price to buy a very good discreet card. In addition, the integrated card of AMD, unlike that of Intel, can work in tandem with another that you add. This can only be done with certain cards of the AMD itself does not lose features like UVD3 very interesting to play and video encoding. The problem, limiting the performance of the processor can give you problems with future games. Better to use it on a salon equipment? In this case if you want to have a cheap computer and play HD video the alternative is AMD by price. Better if you do not have budget problems? The Intel i5 and a quality graphics card that renews every bit. In this case you will have equipment for a long time. Better to set up a team to work? If you are going to use the Internet and programs like Word and Excel any of them will do, then choose AMD by price. In case you use more complex applications like Autocad, PhotoShop, the i5 is better option. 1 What is an Intel i5 processor? 4 Fourth Generation i7 Processors for desktop PCs, Which one to buy? 6 What processor do I have on my PC? 7 What is the architecture of a processor? 9 Skylake charts, how are they? 10 What is the best processor for laptops, Trinity or Ivy Bridge? 11 What is the manufacturing technology of a processor?